Actor #Harrison_Ford says he was jealous upon seeing his #Blade_Runner_2049 co-star #Ryan_Gosling working with a naked woman on the films set. He was glad that it turned out to be a holographic projection. Ford recounted the story during a question and answer session on Monday here as they unveiled a new trailer of the film, reports dailymail.co.uk. The 74-year-old said: "The first time I walked on set it was the day before I was supposed to work and it was a very elaborate set. Very big set, very sophisticated and it was raining. Made me feel welcome. Ryan was working with a naked woman - that made me a little sad. But she was a holographic projection, which made me happy again." 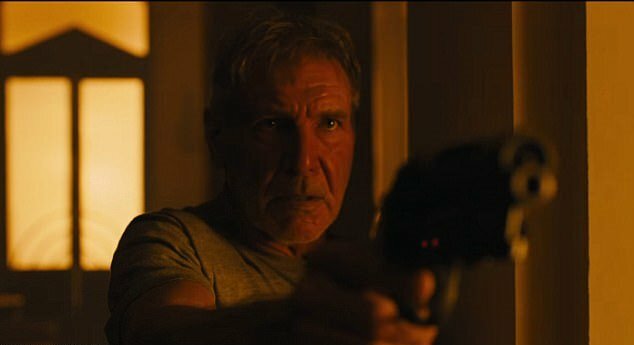 Sequel of "Blade Runner", "Blade Runner 2049" -- which is backed by Sony Pictures Entertainment -- is set thirty years after the events of the first film. The "Star Wars" star also said that he found it "fascinating" to return to the world of "Blade Runner", and especially to revisit the theme of ethics and technology tackled in the Ridley Scott 1982 science fiction classic.